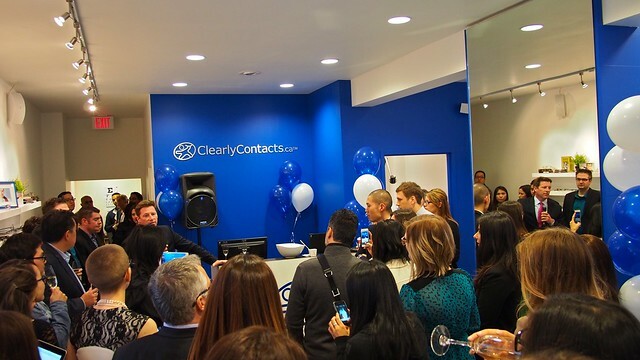 Clearly Contacts store grand opening party on Robson Street on March 20, 2013. As seen in Vancouver Is Awesome. 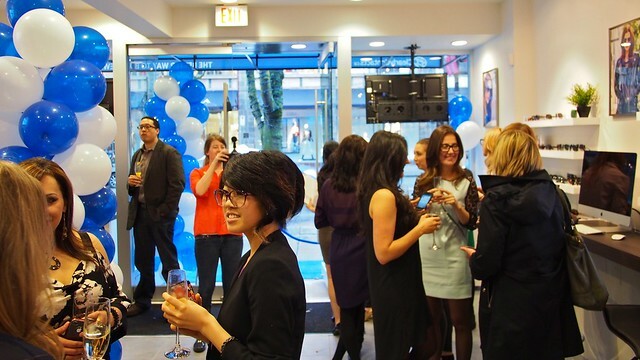 Canada's premier online eyeglass and contact lens dispensary Clearly Contacts (aka Coastal.com elsewhere) celebrated its very first brick and mortar store by rolling out the blue carpet for a grand opening party. 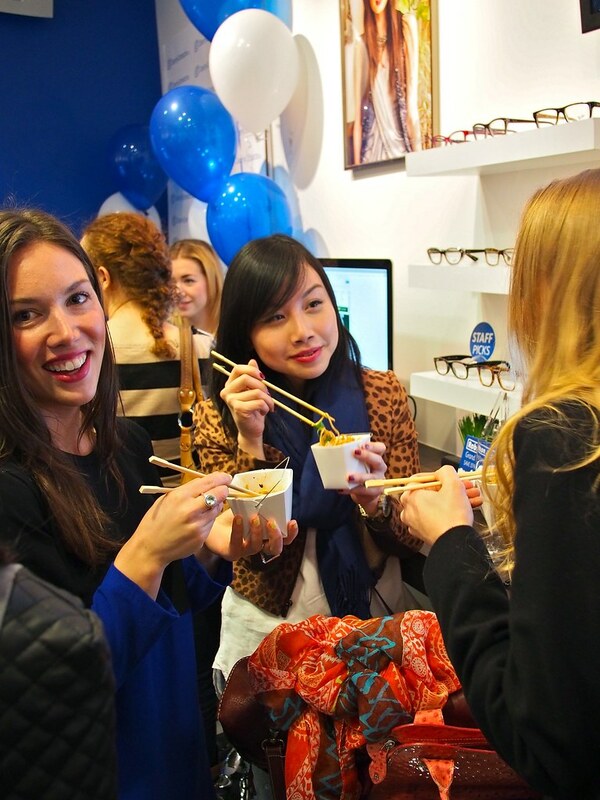 Guests and fashionistas tried on all kinds of eye and sunglasses of every style over some bubbly. I've never seen so many people wearing glasses in a room. I wore my everyday Derek Cardigan glasses (bought from CC online) and was constantly mistaken for a corporate employee. The store is really an extension of the same service online transferred in person.